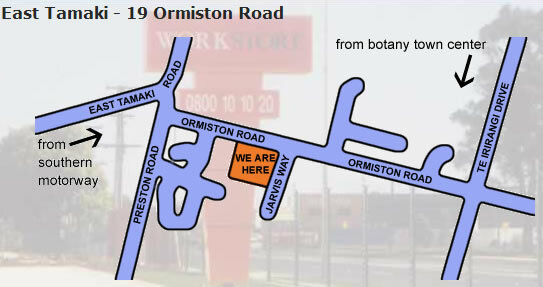 Workstore operates from two locations within Auckland – both handy to the motorway and airport. You can view location maps by using the options on the left. Only 5 minutes from Botany Town Center and the Motorway our East Tamaki premises at 19 Ormiston Road offers a full range of mini Storage, large storage, and workshops. 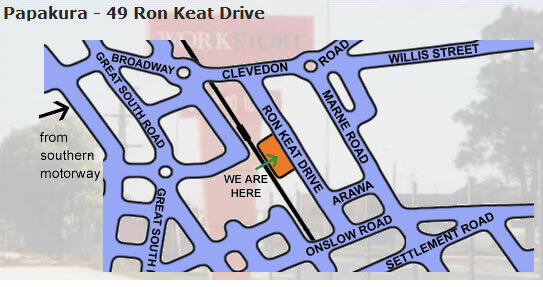 Our Papakura premises at 49 Ron Keat Drive offers a range of large storage and workshop facilities.